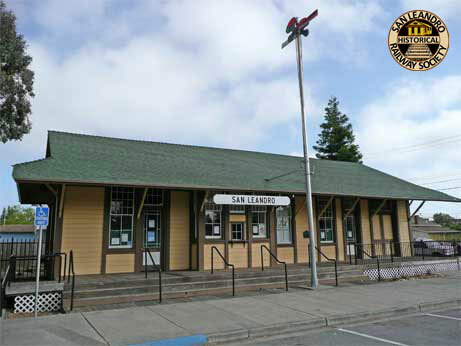 The San Leandro Historical Railway Society (SLHRS) operates in the San Leandro depot built in 1898 by the Southern Pacific Railroad, which replaced the original depot built by the Central Pacific Railroad in 1865. Officially opened in June of 1898, the Depot contributed to the agricultural and industrial growth of San Leandro and the surrounding area. The San Leandro Plow Company and the Daniel Best Manufacturing Company, which evolved into the Caterpillar Tractor Company, are shining examples of businesses who thrived with close access to the Depot. 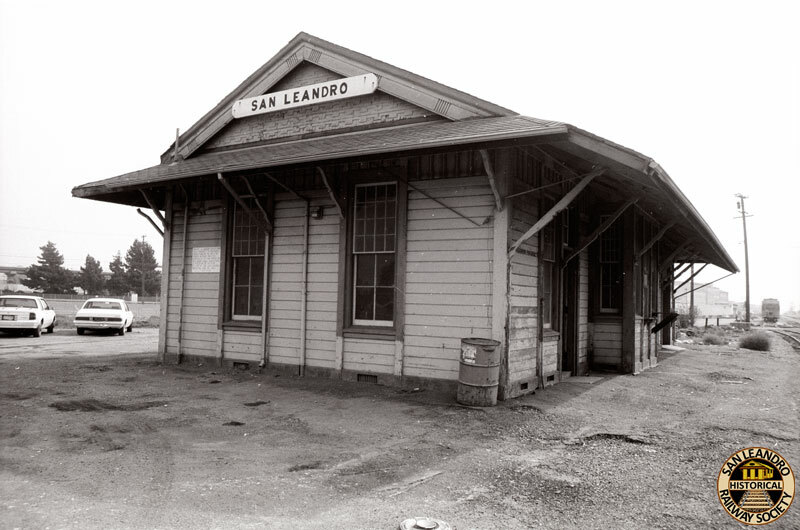 The Depot was in use as a passenger facility briefly before the Second World War, when the passenger agency was closed down as a “non-essential service.” The Depot was downgraded and used as a break facility for switch crews working the San Leandro area through the 1960s. A local group of railroad enthusiasts saved the Depot from demolition by purchasing it (for $1.00) in 1988 and negotiating a lease with the City of San Leandro to house the Depot within Thrasher Park. On December 11, 1988, the building made the short journey to its current site and work begun on its restoration. In June, 1989, the museum and Depot were officially reopened to the public by the newly incorporated San Leandro Historical Railway Society. At that time the building was also designated a San Leandro Historical Site and has a bronze plate affixed to the front of the building. HO scale engines pass over 4,000 feet of track on 3 levels, dozens of switches, and miles of wiring that have been installed by society members. It takes approximately 30 minutes for a train to travel the entire length of the display at scale speed. Most locomotives and rolling stock are membership owned and cared for. After much planning and fundraising, a second layout, the G&O Garden Railway, began construction in 2005. 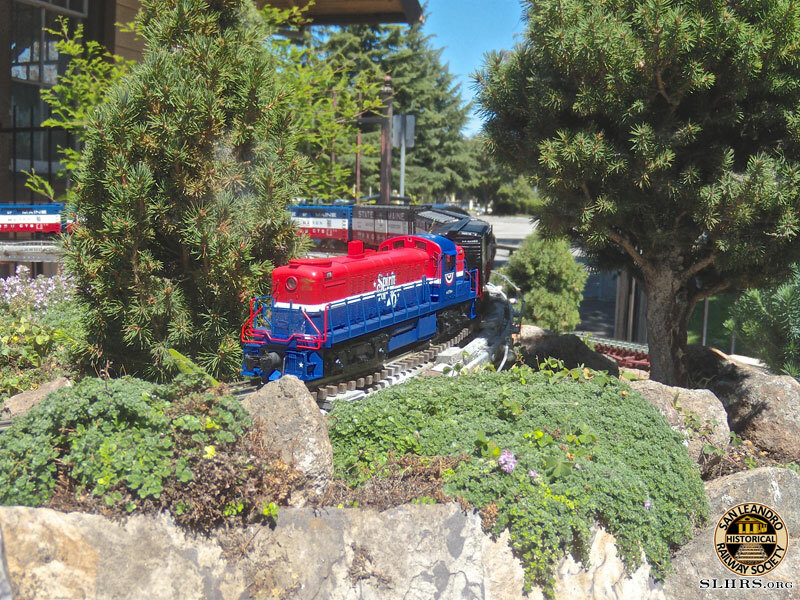 The garden railway operates outdoors behind the Depot in both G gauge and O gauge, with an interactive Children’s Layout on the western end that allows kids to operate the trains and be the conductor! With the nature of garden railways, the displays are very seasonal and can be decorated to match a variety of themed events. 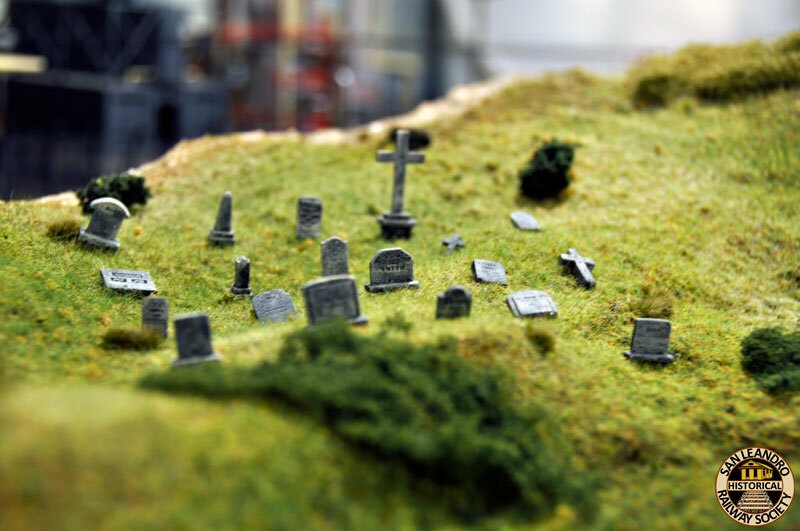 The maintenance of the museum and construction of the model railroad display are performed by members of the society. 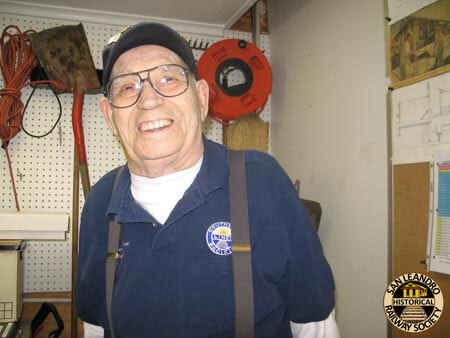 Financial support is through membership dues and donations from visitors and railroad enthusiasts. As a 501 (c)(3) Non-Profit Corporation, the San Leandro Historical Railway Society receives no public funds. The SLHRS has programs for many age levels; novice (ages 6 through 13), student (ages 14 through 18), and general membership. Our novice program requires parental or adult supervision. We also welcome contributing sponsorship for those who want to support our organization, but are unable to participate on a regular basis. The Society holds general meetings on the first Friday of each month (except for major holidays) at 7:30 PM in the depot. 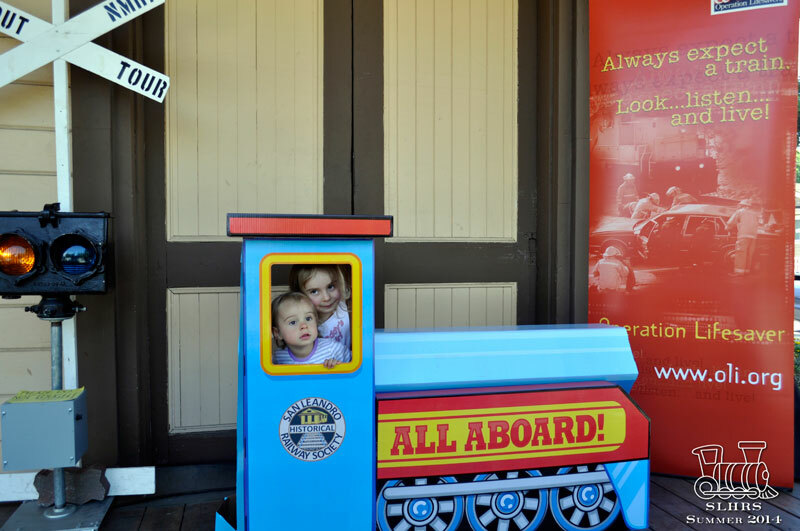 The San Leandro Historical Railway Society is a 501 (c)(3) Non-Profit Corporation. Receipts for your donation can be provided upon request. Contact Us to learn how you can donate.